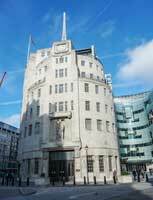 Responsibility for all EMC consultancy aspects of the BBC W1 redevelopment of Broadcasting House in London. Phase 1 of the project included a complete analysis of the EMI that is likely to be produced by all building power systems. This lead to some power system redesign in order to control EMI within such areas as radio and TV studios. Where electrical redesign was not possible or not cost effective, electromagnetic screening, filtering and other EMC measures were incorporated into sensitive areas of the various buildings. Prior to, and upon completion of all works, a site wide EMF survey / study was carried out to confirm that ambient EMF’s and EMI levels were sufficiently low to ensure the health and safety of people and the reliable operation of electronic equipment.